Initially needed finance is 150,000, which is to be borrowed as loan and to be paid-off in 3 year. This report is confidentially and is the property of the co-owner. It should only be use by the people intended and transmitted. The use and reproduction of its contents without the prior permission of the company is prohibited. The concept of business is based on a provision of non-modified fruits and vegetables. The business is unique in the sense that it will be provide healthy fruits and veggies grow one own garden. As the farmer work on mass production so they don’t give any importance to nutritional benefit, but for the people their health is more important. This business will provide services in contract basis to household. Providing population of vegetables and fruits in home garden for better health of their families. Contract will be one year long. Also provide home-made fertilizer with the help of gathering peeled skin and fruits and vegetable waste and other for making fertilizer. There would be expert and literate gardens team lead by an agriculturist, covering a specific area. This team will provide information about locally growing fruits and veggies and will grow those which will be select by the customer. There would be online access to the company and also office. This office also entertain customer. As the current health issue in every age group includes infants and children, young and old have increased the health consciousness. The people are joining health clubs. Gyms to over-come obesity but they keep on consuming the some fruits and veggies that are genetically modified, so there should be a change in their consumption. All the working and non-working women are conscious about their family health. The business will be use social media, health and cooking books for its advertisement. 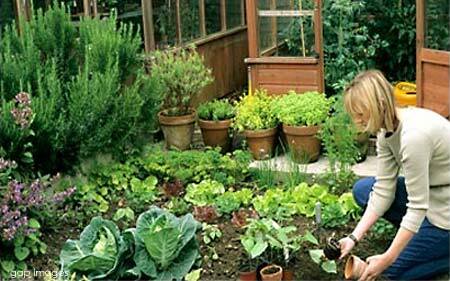 There could be a growing need of home kitchen garden in future. The fruit and veggies will be grown in our views and then half grown plants will be sold out to the customer. As it is easy to care the grown plant as compared to the initial growth starting from generation. We need a yard to growth the plants, soil to sow seed tool for further work. The seeds will supplies is Tri-max gardening – Shop No. purani subzi mandi, New town police station. The company will germinate and grow the plant in its own premises and will sell out half grown plants the customer. These plants will give the fruits in less time after the company sells it to the customer. The order will flow through the social media account. The company will provide the customer choice at their door step and further assistance there will be proper channel information. The plant will be available in a 30 days’ time after order placement, in every season accept for 5-10 limited plants. The fertilizer used in over plant no negative effect on your health. Plant will be distributed through a vain on contract basis idrees -03138167414. Through social media, Awareness seminar in collage universities and banners. The product will gain confidence of the company’s customer, as due to health issue and a growing future demand. It is a private owned organization, the principle shareholder are three partners. The principle shareholders are the managers and other stakeholders are on contract. The management team is a group of individual with bachelors’ degree in business studies and finances. The liability of owner is limited. The current owners are Fatima, Ramsha and Sabahat will manage the business. Having a degree in business studies. They have a part in attending various degree based courses. This will attract the attention of female as the fruit over kitchen garden business owned by female, will also provide wide knowledge to the potential customer. Advisory to grow different plants and vegetable at home. Cannot arrange every type of plant in every season as the plant do not grow as such. Power tools are used to be according to the instruction and direction provided that it should warm anybody or employees. Can outsource the plantation of business if any problem arises in the premises and cannot any tools and instrument if damaged occur. For financial issue we will maintain cash in the premises to work in emergency that will be used to arrange resources.